Title: '"LONDON 1843. 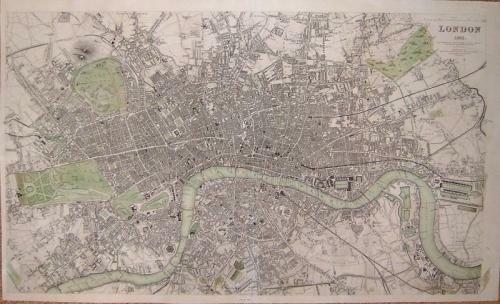 London Nov.1,1843"'. SDUK. Very good condition with neglegible uniform toning, typical of that associated with books and documents that are almost two hundred years old. Colors show rich hues; black ink is dark are clear; paper is crisp and bright. There does remain a single vertical file fold in the center, that has been 'ironed out'.